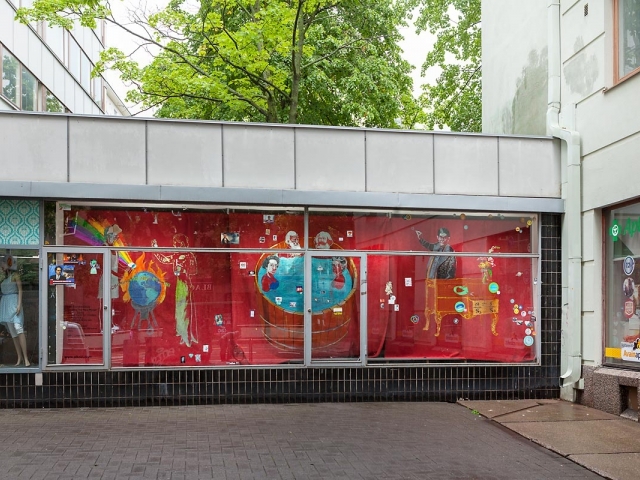 The project by Lado Darakhvelidze 'Cooking the New' planet is an ongoing piece that opens the project 'States of Control' curated by TOK in Helsinki and presented in Alkovi and HIAP Augusta gallery. 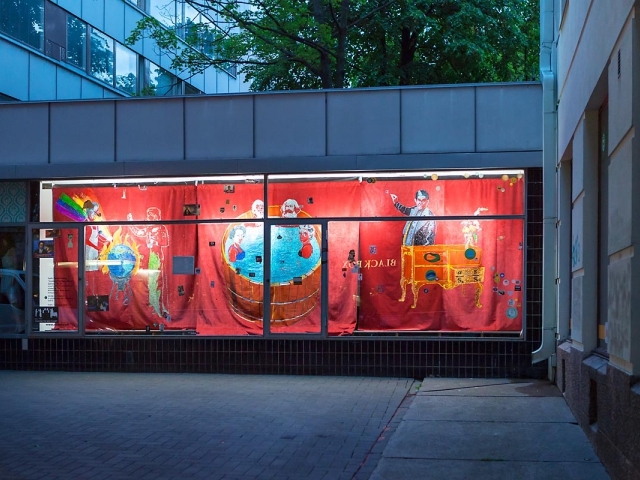 Installed in the vitrine of Alkovi, the red velvet curtain juxtaposes historical political figures and iconic images and characters of today’s visual culture and media. Being extremely ideologically and politically charged, the images are combined with allegories of the mass and social media, the main tools of ‘cooking’ our worldview and opinions today. 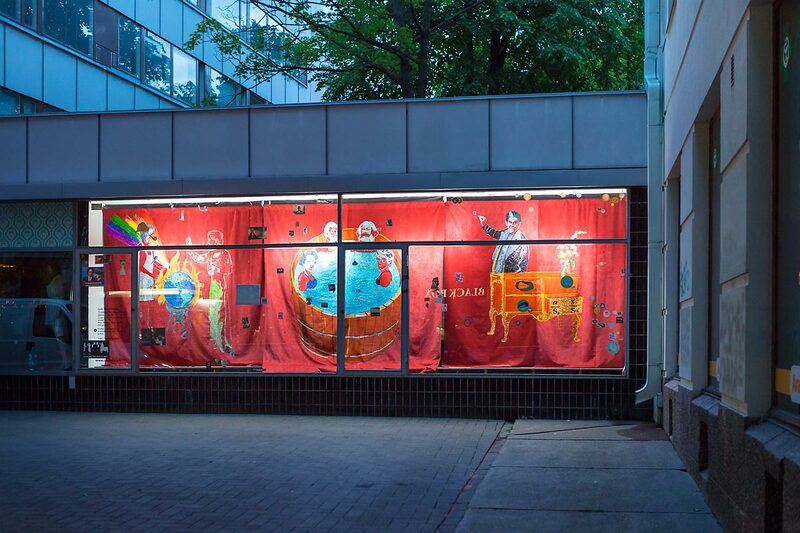 The heavy velvet curtain that serves as a background for images makes the audience wonder what it covers – the same way we question what is hidden by manipulative media strategies and political agendas and multiple realities they create. Lado Darakhvelidze, (b. 1977, Kutaisi, Georgia) lives and works in Arnhem, the Netherlands. Darakhvelidze’s artistic practice focuses primarily on the phenomena of information, media and its sociopolitical impacts. 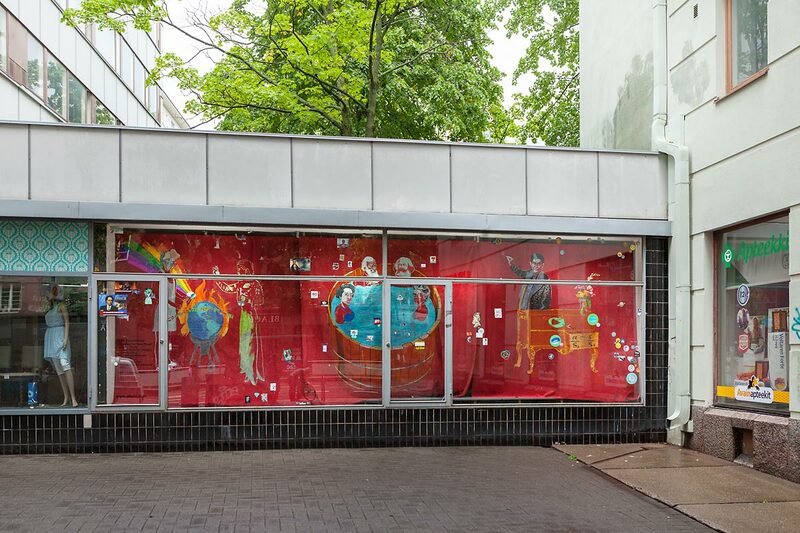 In his work, he deals with social and political changes and represents these in personal narratives. 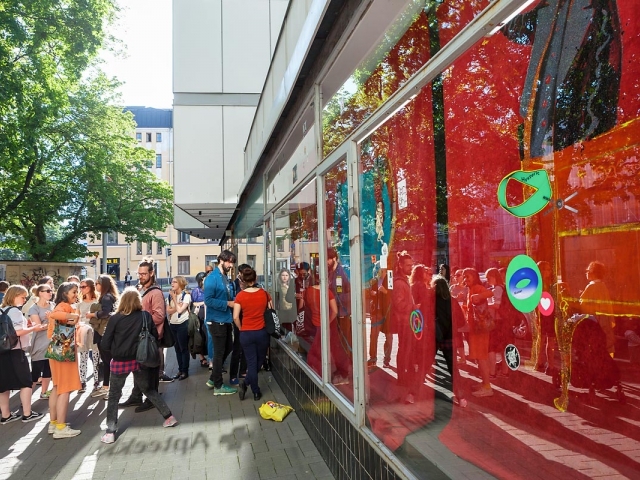 The work is a part of the project States of Control curated by Anna Bitkina and Maria Veits (Creative Association of Curators TOK) that deals with the current and historical context of media realities, propaganda, and post-truth. States of Control takes place in Alkovi as well as Augusta Gallery in Suomenlinna, where the exhibition is open 17.8.–1.10.2017. 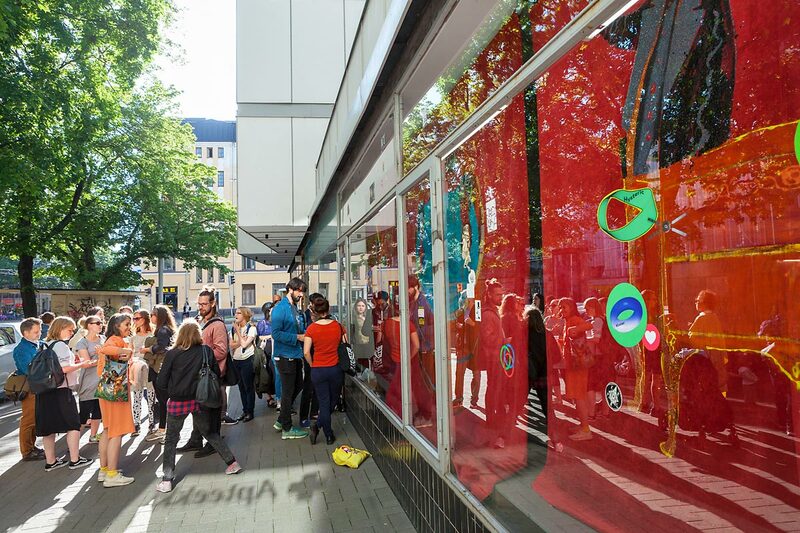 In collaboration with Alkovi, HIAP - Helsinki International Artist Programme - Connecting Points program, Creative Association of Curators TOK, and URB festival.